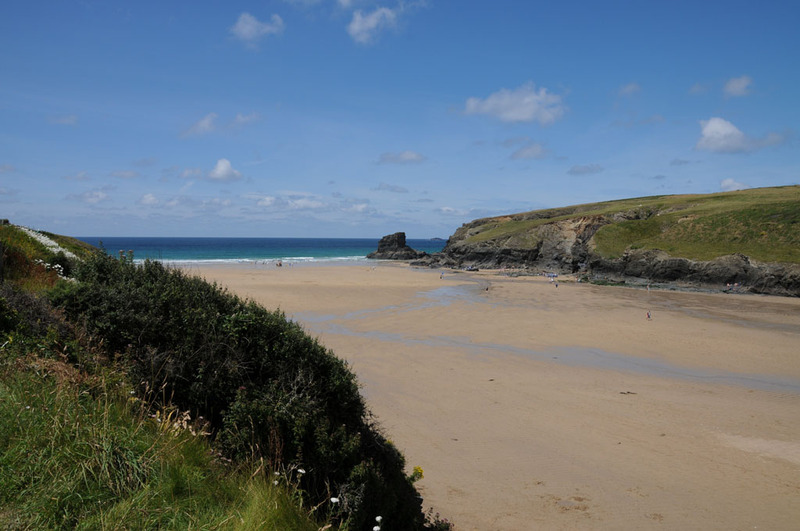 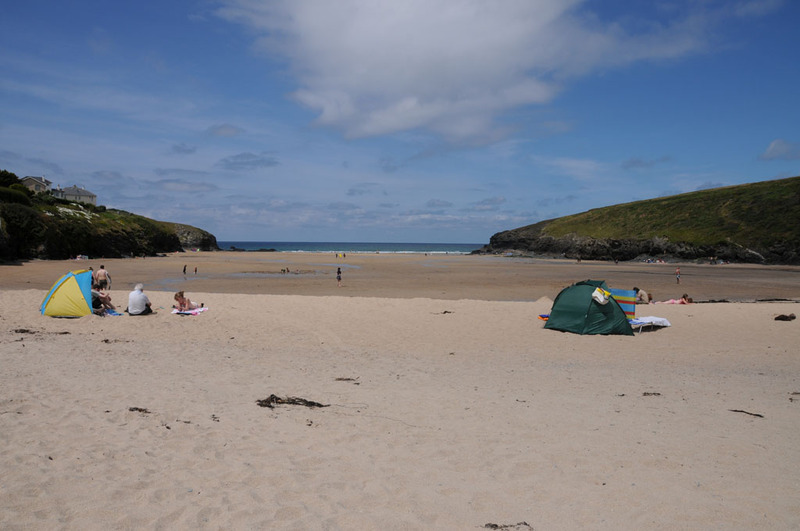 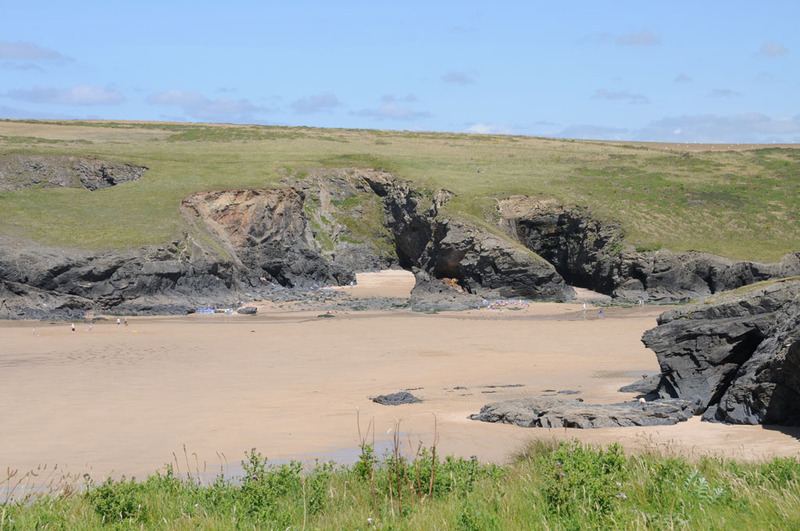 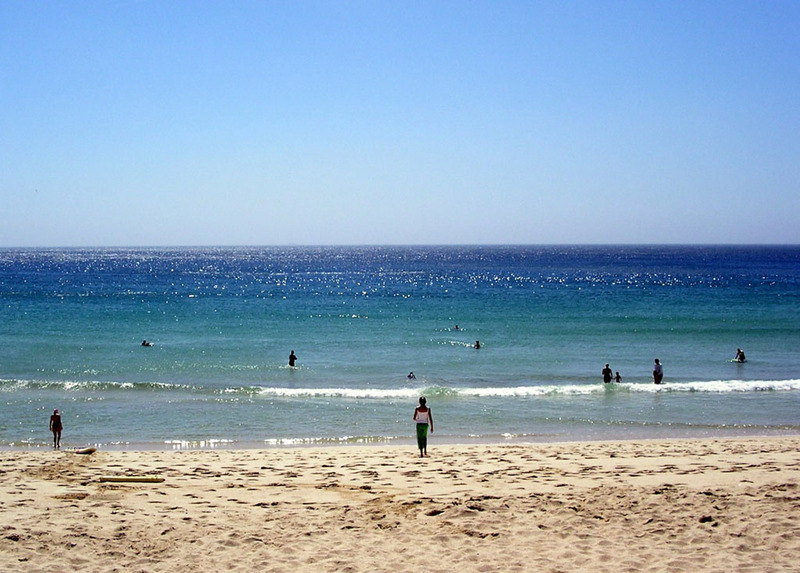 The whitest sandy beach in Cornwall – great for sunbathing and swimming. 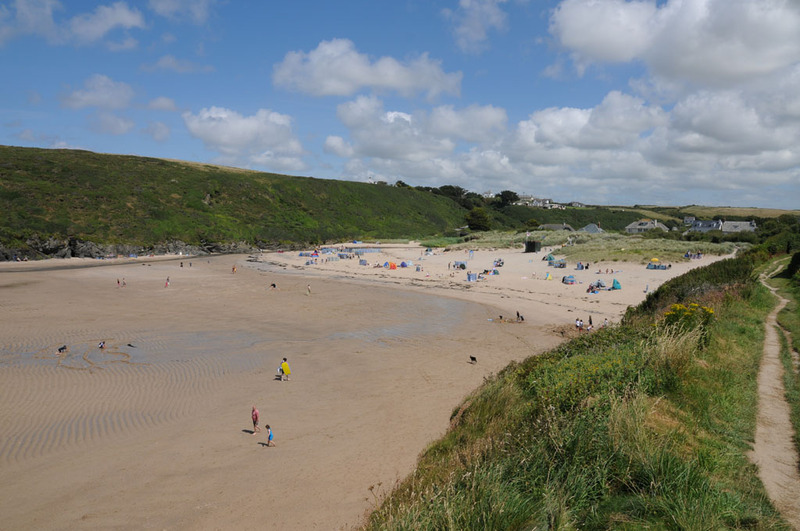 �The beach is a bit of a hike from the car park through sand dunes and the first 50 metres of the beach are very steep – once you get there though, it’s well worth it. 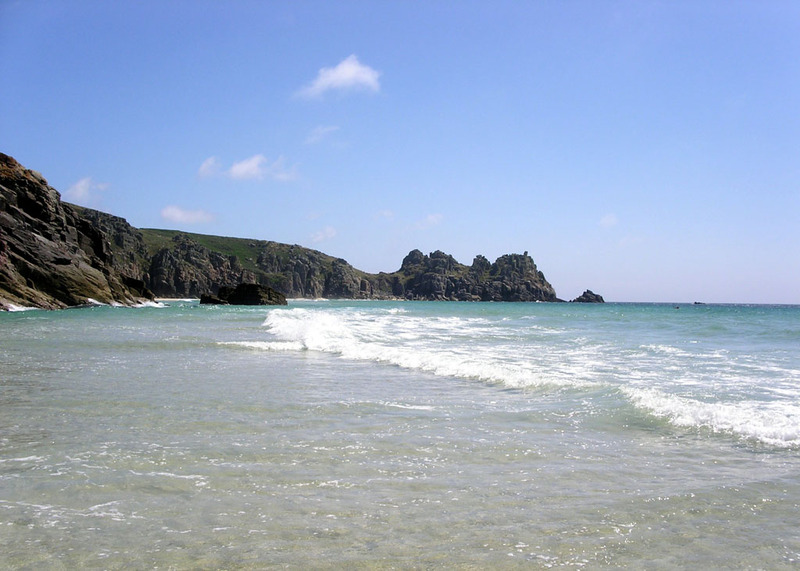 �There is a large expanse of sand, even at high tide. 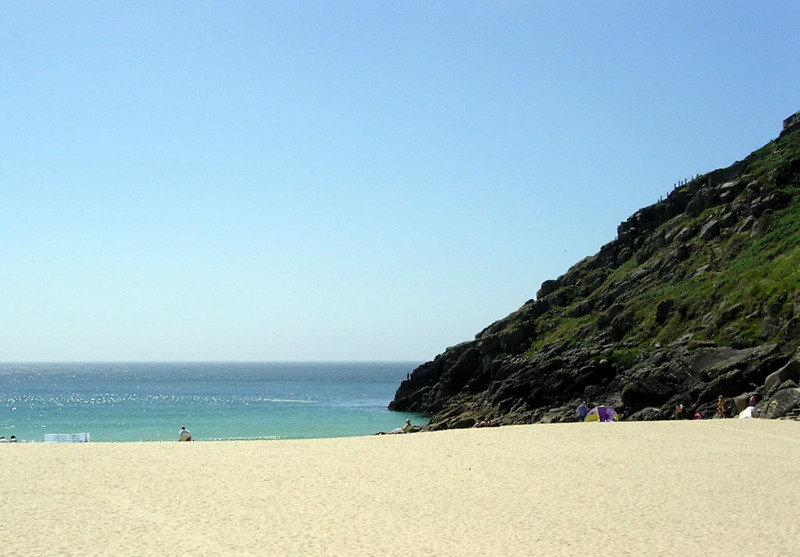 The west, the cliff, is home to the Minack Theatre – worth �visit but in my opinion, a bit of an eyesore. 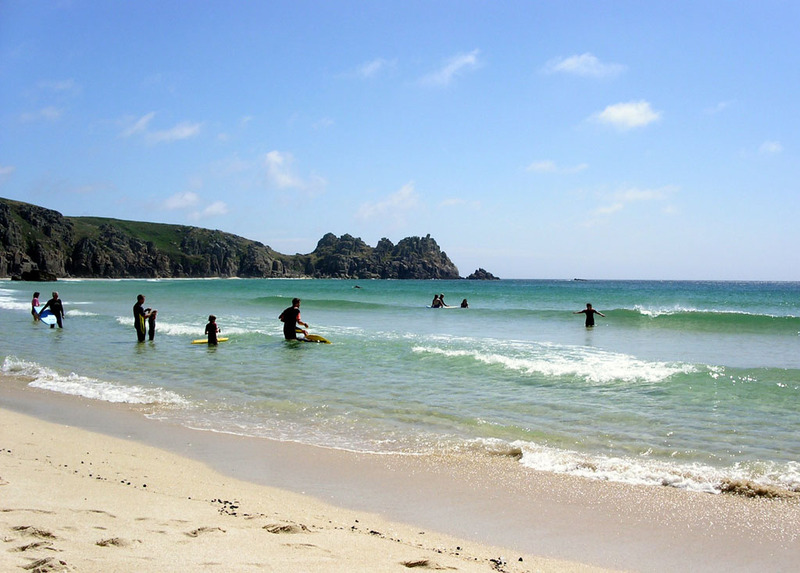 � There is a large public car park about 200 metres from the beach.